Book your SLT’s places on the leadership course that will make a difference. 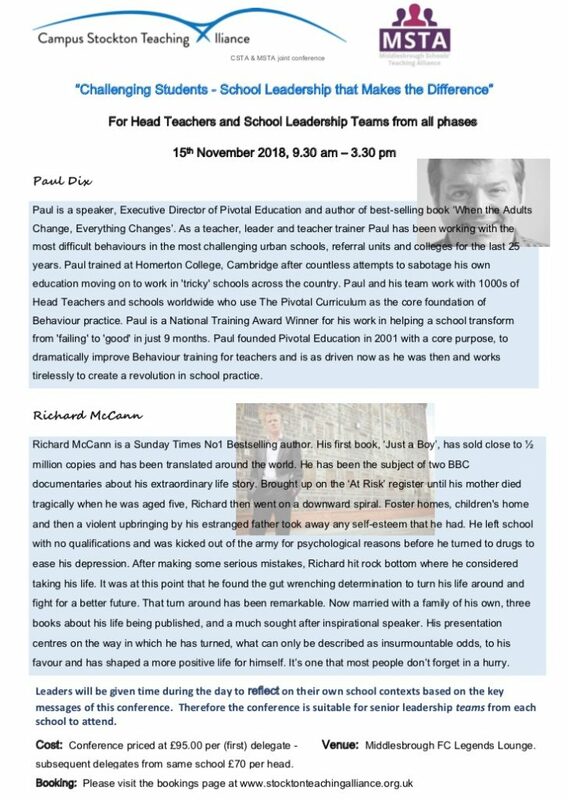 In a joint conference with Middlesbrough Schools’ Teaching Alliance, we will be welcoming Paul Dix and Richard McCann to the floor. The conference is Middlesbrough FC Legends Lounge on 15th November. Click here to find out more.